HI I was wondering how to de register a device. I have accidently deleted the keypack and need to recreate the keypack but unable to do so as there is a registered device on the account that i need to revoke. 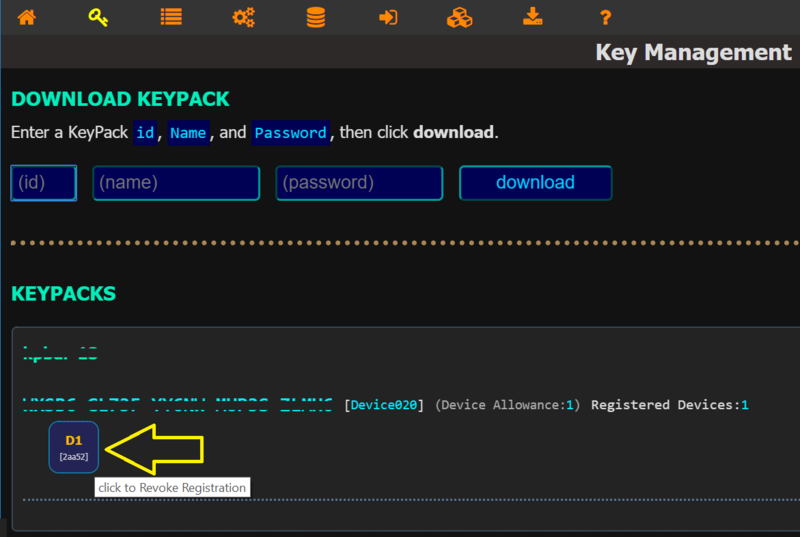 Device registration to a Key can be be revoked in QMX-Server or from within your Account on the QMX Website (Keys section and/or KeyPacks section). 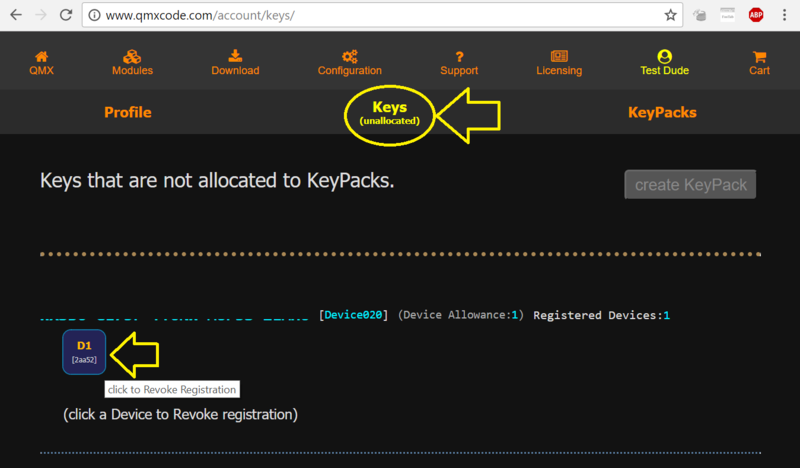 You can revoke a Device in the Keys section (for Keys that are not allocated to a KeyPack), or in the KeyPacks section (for Keys that are allocated to a KeyPack).